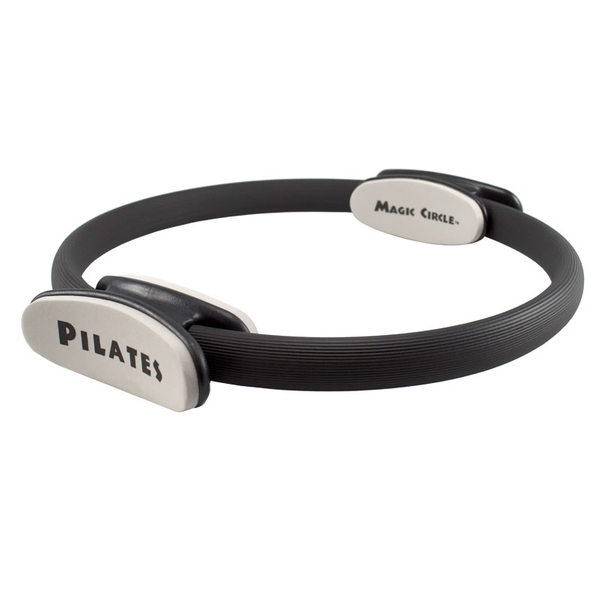 One of my new favorite exercise tools is the Pilates magic circle/ring created by Jospeh Pilates himself. It is an ideal piece of equipment that is versatile, portable, and lightweight. It takes up very little space and is perfect for those who workout at home. The circle is great for adding resistance to movements, while remaining low impact, but still strengthening muscles in a more gentler way. It is important to pay close attention to precision and control while performing the exercises. Also be aware of your breathe. Breathe is an essential and foundational part of the Pilates practice. With each exercise focus on inhaling through the nose, and out through the mouth. There are two small foam pads on the flexible circle, that you squeeze/ push for resistance. Perform each exercise slowly, with precision and control. Perform 6-10 repetitions for each movement. Repeat 3-4 times through. Disclaimer: The content of the Fuel Your Fit blog and website, including text, graphics and images, are for informational and entertainment purposes only. The content of this blog is not intended to be a substitute for professional medical advice, and Fuel Your Fit recommends advising with your physician before partaking in exercise. Do not disregard professional medical advice. Not all exercises are suitable for everyone.